Despite all of the media attention that has been given to the mostly tragic consequences of bullying, you simply need to scan the comments sections in on-line articles regarding bullying to sadly see what percentage of adults stay in the dark while not really understanding the negative impact that bullying has on such a large amount of kids on a daily basis. Below are some of the facts and statistics that we’ve found that make the most important impact on how adults and parents begin to understand bullying as an issue, not just in their community, but also throughout the entire country as well. 160,000 children within the United States stay home each day due to bullying situations. Eighty-three percent of bullying incidents receive no intervention and continue to happen. There are four types of bullying: physical, verbal, cyber, and social. Male bullying a lot of the time consists of verbal and physical abuse, whereas female bullying a lot of the time involves verbal abuse, cyber, and social bullying by spreading of rumors. Only half of educators have received coaching on the way to handle bullying incidents. 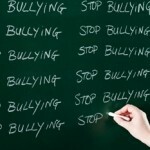 Not teaching educators a way to handle bullying is like not training doctors to treat the flu! Children are additional more likely to receive verbal assaults targeting their appearances and behaviors instead of race or spiritual beliefs. In several cases, bullies felt that the victim was responsible for these behaviors or appearances. A study by the National School Board Administration reported that 33.1% of the Middle and High School students that participated in the study agreed or strongly agreed that teachers and adults can stop bullying. This implies that 2/3 of those students don’t seem to be assured that they will get the help they need in bullying situations from their teachers or other adults in power. In 2005, approximately 1 out of 10 internet users aged 10-17 had been the victim of cyber bullying and “on-line harassment”. Half of victims that were bullied off-line and on-line by one single individual reported being extremely troubled by the incidents. Contact Simple Acts of Care and Kindness today at 866-459-7225 or visit our website for more information. Contact Simple Acts of Care and Kindness proudly serves Norco, Riverside, Lake Elsinore, San Bernardino, Eastvale and surrounding areas. Do schools and teachers pick up on this happening? Often parents and teachers dismiss the mean girl behavior as part of being a girl. They often say, “It’s what girls do,” or “Girls will be girls.” Often with younger elementary school girls, parents are not as tuned in to the situation to watch out for this type of behavior because it just seems that the girls are too young for it to be happening to them. But if you talk to teachers, they will tell you they see it on a daily basis. Many Anti-bullying programs focus only on managing physical aggression, so the issue of mean girls fall outside the scope of the majority of programs. Boys often tend to be more physical, so when there is a fight on the playground with one child being aggressive towards another, there is cause for concern. The school does not want a child physically injured. Most Anti-bullying programs don’t look at friendship issues, but for girls, that’s where the aggression usually happens. What can you do when the bully is the girl’s best friend? If safety is issue and your child is in danger or endangering someone else, get professional help. Validate the range of emotions she is experiencing are valid. Help your daughter understand that all emotions, both positive and negative, are normal. Remind her that bad emotions don’t make her a bad girl. Try telling her things like, “I understand how angry you are about what happened. It hurts our feelings when friends are mean.” By allowing your her anger or irritation to play out will help her calm down quicker than if you just play down the situation. Avoid problem-solving for her. You want your daughter to learn how to handle herself in these situations and in life. Be there for her and don’t just tell her what to do. Helping her work through what is going on by asking her questions like, “I understand that your friends are telling everyone that you’re poor and you shop at the thrift store. Why do you think she is she doing that?” Help her understand what is going on in the situation. Kids are starting to heading back to school and one important situation to cover is “mean girl” bullying. Typically we think of it as a middle-school issue, but it’s now happening at younger ages. Below we will talk about the problem of young mean girls and how parents can prepare their daughters for more difficult social situations they may face before the school year begins. What does young mean girl bullying really look like in the first- or second-grade? Typically it can be cruel words, the spreading of rumors, and systematic teasing. Some parents have said it even started in kindergarten. A study done at SUNY Buffalo in New York concluded that some girls understand these tactics as young as preschool. Official the term for this is called “relational aggression.” As girls get older and move into third grade, they get more sophisticated and cliques really begin to form. Additionally during this time, you see actions with intent to hurt. Although in kindergarten through second-grade girls, these actions may not be intend to hurt; the girls involved are trying establish their place on the social ladder and often don’t realize that what they are doing is actually causing pain to others. One of the most difficult things about this for the younger girls involved is that it can be their best friend who is also their bully. These back and forth friendships can be destructive for the girl who doesn’t know from one day to the next if her friend will play with her, or round up other girls and start a club where she is the only girl that is not allowed to join. Research has shown that the collection of the mean-girl experiences over time can significantly impact a girl’s ability to learn. See next weeks article on what adults can do to help.